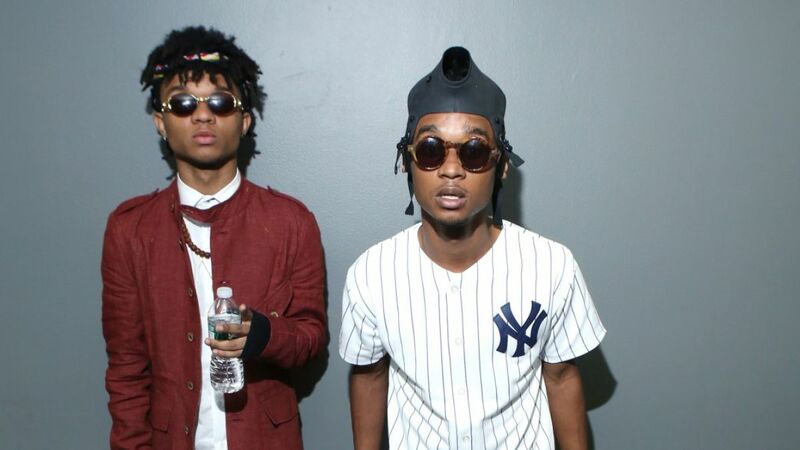 The duo known as Rae Sremmurd have spent the first half of 2015 riding a wave of critical-acclaim that followed the January release of their debut album, Sremmlife. The early singles focused on the group’s larger than life personalities, as well their knack for writing infectious hooks. The remains to be the case with the latest promotional release, only this time there is a bit more real emotion in the mix. “This Could Be Us” is all about how your relationship would be perfect if only the other person stopped being so ridiculous. The repetition of the line “This could be us, but you playing” is sure to make waves at radio and social media networks alike. In fact, a quick Twitter search reveals the popularity of this song is already beginning to catch on. The video for “This Could Be Us” takes place in Africa, where the members of Rae Sremmurd explore cities and safaris while taking quick breaks to perform various lines from the single. In between these shots we see each member deal with the stress put on their relationships as a result of their career, but they quickly shake it off and get back to living their dreams. You can view the clip below. If you haven’t heard Sremmlife, you should. The album, which we adore, is available everywhere now.